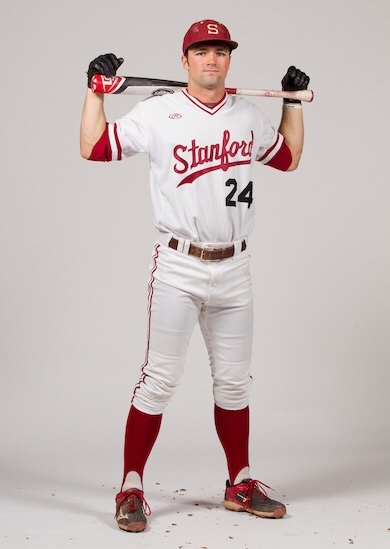 An outfielder originally drafted by the Washington Nationals in the 37th round of the 2014 June Amateur Draft out of Loyola High School in California, Brodey opted to go to Stanford and the move paid off, educationally as well as professionally. Brodey then re-entered the draft in 2017, where the Mets selected the lefty in the 3rd round and signed for much more than he would have three years prior with Washington. The 23 year old doesn’t really have any standout qualities to his game, but has decent speed and has shown the ability square up on the baseball. The former high school pitcher has an average arm and is best profiled for left field. While the season’s still young, Quinn Brodey is off to a scorching hot start with the St. Lucie Mets, the team’s “High-A” affiliate. In just 10 games, Brodey owns a slash line of .342/ .378/ .421/ .799, while he doesn’t have any home runs, the young outfielder has three doubles and nine RBI’s in this 38 at-bats. Baseball America scouts Brodey as an above average player all across the board with fringy speed, making left field the best fit for the California native. However, BA states that he’ll have to tap into his raw power, in order to become an MLB regular. MLB Pipeline has Brodey profiled as a corner outfielder that can square the barrel on the ball but will need to regularly hit for him to become an everyday player. Brodey will need to continue to hit in the minors for him to move along the ranks but just as important and even more so, he needs to work on his plate discipline. His career slash line in 187 games is .242/ .303/ .380/ .683 in 695 at bats, however his OBP raised by 51 points when he was promoted to High-A, showing his ability to adjust. We probably won’t see Quinn Brodey in Queens anytime soon, or quite possibly ever. But his aggressive start to the season has earned him a #MetsCrushMonday segment, and he’ll always have that.